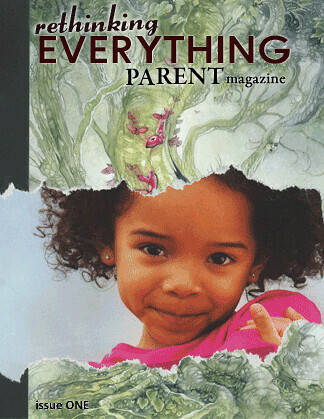 Get Ready for Rethinking Everything- PARENT! And so is the release of our very first magazine as Rethinking Everything Publishing. Rethinking Everything Magazine, after two years of bold, edgy, exciting rethinking, has blossomed into three separate and distinct publications. But you knew that, right?! FOUR stories bound to rock your world. Teresa Graham Brett of Parenting for Social Change brings us her personal story of recognizing the hypocrisy of traditional parenting and forging new relationships with children based in love, respect, and equality in Unlearning Adultism. Dayna Martin – world reknowned advocate for radical unschooling – shares private and powerful moments of life in a co-sleeping family in The Sacred Flow of the Family Bed. Inok Alrutz paints the moment by moment memories of her bold, painful, emotional, empowering, and evocative journey into motherhood in Birth of a Universe. Laura Grace Weldon – blog maven, writer, farmer, and mom – kicks fear to the curb and hands the power of consequences to her kids in What the French Revolution Taught Me about Parenting. 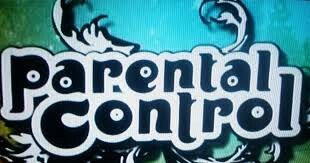 Parents Initiate a Culture of Control? I spent the day with a friend recently and we spent some good time talking pie in the sky about living together in community – lots of us talk about wanting it and yet … who is doing anything about it? And what is it we want anyway? We arrived at some interesting conclusions during our little dissection. What we want is connection, we are social beings who learn from each other and, to varying degrees, enjoy the fun and games benefit too. We want support. We like to be in the company of others who share our views or challenge us in ways we like to be challenged. What else? We very reluctantly concluded that what many of us fantasize about as we dream of living in community with one another is to be taken care of: having others cook, garden, share child care responsibilities and home construction and equipment purchase – so that we don’t have to have as much responsibility, spend as much money, work so hard. My friend and I have both done lots of research on intentional communities and agreed that we hadn’t discovered one yet that ‘worked.’ We wondered if it was due to the fact that folks entering such communities have as a base fantasy the desire to be taken care of. If so, it’s no wonder communities are less than functional. In fact, even within our own families, those very small communities most of us live in, I would venture to say that they are less than functional when any member of the family believes the others have to take care of them. Aside from infants who require dedicated care, even toddlers are desirous and capable of ‘taking care of themselves’ in very real ways. They can and want to choose their food, feed themselves, choose their clothes, dress themselves (mostly, or at least they WANT to and are willing to keep trying), choose their preferred activities and friends, among many other things. Are we supporting their desire to take care of themselves or thwarting this? We harmfully thwart their natural desire for self sufficiency and independence when we choose their clothes for them, make them eat what we prepared instead of involving them in the choices of what to eat, enlist them in parent chosen activities instead of exposing them to a comfortable range of options and allowing them to experiment and choose on their own, etc. If a small toddler learns that another is responsible for making decisions for them, that someone else knows more than they do about what they want and what feels best, then it’s only natural to follow the progression and jump to age 6 or 8 or 10 or 12. Heck, a lot of kids I know in those age groups still have parents who are making decisions for them and think they know more about what the child should want or eat or what activities are most enjoyable. Guess what, when a parent in this role is ready for their child to start making their own decisions and become accountable and enjoy life and be self motivated, they can’t, because they’ve been classically conditioned not to. Hmmm… it’s no wonder then that lots of full grown adults, who grew up as children of parents who ‘knew more than they did’ continue to move through the world just (naturally) expecting that they will be taken care of – by governments, spouses, cultures, PPOs or HMOs, employers, etc. In my perfect world we would be replacing this conditioned thinking with personal responsibility, and it is so naturally learned right from the start. So what if our toddlers and kids are wearing mismatched clothes, choose not to brush their hair, eat dinner foods for breakfast, prefer friends who are 10 years older than they are or opt out of the team sports in favor of poker? They are engaged in that magical, powerful and empowered process of making decisions and living with the rich, fully accountable feelings that result. The dichotomony of traditional parenting is ironic and detrimental in both rights. On one hand, most parents are devoted to the ideal of turning out self-sufficient, ‘successful’ adults at the age of 18 or so into the world and out of their homes. Having an adult child still living at home is commonly viewed as a parental failure. (Hmm- another blog post?) On the other hand, parents are curbing children’s desires to make their own decisions and do for themselves at almost every juncture. From picking clothing to friends to how to spend their time, children are instructed by parents, well-meaning adults, and schools as to what is appropriate, for how long, and the expected goal. This is most obvious to parents whose children have attended and been removed from school. 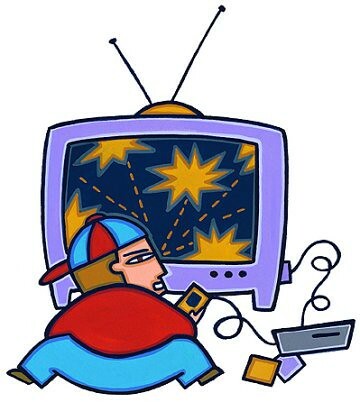 While many parents do not see the detriment of their own controlling and directive parenting techniques, a child constantly in need of direction, unable to occupy their time or identify and invest in their curiosities or interests has obviously been affected by the consistent limits, structure, and follower mentality of the school system. The effects of this can take years to resolve such that the child operates based on their intrinsic intention and motivation once again. If we have as a goal that our children will function independently, is this not what we should facilitate? We do this by offering our opinions and support but not in making the final judgment. I’m not talking legitimate safety concerns with young children here. Readers feeling fear in the lack of control they are feeling in reading this will immediately jump to that. But, realistically, how often are our children’s decisions (you know, the ones we’re interfering with) actually related to their immediate physical safety? Parenting is so often synonymous with controlling. In order for children to experiment with independence, control, and outcomes, they must have the ability to exercise them. We need not fear the teenage and early adult years if we have facilitated our children in empowered decisionmaking and individuation up to (and through as desired) the years of separation. The fact is, we don’t know ‘best.’ Maybe we are wiser. Maybe. In my experience, children value our input based in our own experience. And so, parenting is more accurately synonymous with communication. Why don’t you want to continue with piano lessons? What is it you love about poker? What draws you to this friend? I find your assessment of the continued need for control (mislabeled ‘care’ by many parents) in adulthood eerie and accurate. The fear of operating independently is sheltered by other systems in place of parental control and school as people age. These systems capitalize on the lack of independent thought and fear and keep the majority of the adult population wide-eyed and fearful with membership cards, prescriptions, and expectations to keep them firmly in the hold of mediocrity. The solution? Introspection and evaluating our own personal choices. What drives our decisionmaking? How can we improve our communication and interactions with our children to support their process and experience rather than govern it ourselves? Video Games? – Just another tool. I always look forward to the fall holidays starting with Halloween and the weeks that lead up to them. I love the cooler weather, the changing leaves, less daylight, fires in the fireplace at night. I love the idea of sharing loving time and space with friends and relatives in ways we don’t during the year. It is so much more satisfying now that I’ve taken the leap and given up the toxic relationships. For years I moved through the motions of inviting everyone in my circles to gatherings, saying yes to all the family functions and parties to which I was invited. I felt busy and included and loved, but it was all dysfunctional. I wasn’t enjoying myself. I was spending time with people I didn’t like and didn’t like me, trying to fit in, wishing I wasn’t so different from others, pretending to be someone I wasn’t. One year, several years ago, I decided enough was enough. No one owes me anything and I don’t owe anyone anything. We are all on this planet as individuals to feel good, to move toward the people, places, ideas and things that allow us to come alive and move away from the people, places, ideas and things that take us away from that feeling. Saying no I won’t be able to attend or choosing my guest list carefully feels effing good. I love the flow of holidays on my terms. My wish for everyone, everywhere, is celebration that feels like celebration, joy that feels like joy, love that really feels like love. I am learning all the time about what love feels like and won’t fake it anymore. Not just good- effing good! Love it. Like the rest of my life, my view on holidays and our familial traditions continues to evolve. And, almost as a metaphor for my life, my feelings about holidays have transformed into a bold appreciation for what is really important to me and supports my personal growth. While it is magnified by the several frequent get togethers traditionally celebrated by gatherings of family and friends in the fall and winter months, this change really applies to my life all year round. But this has been a particularly difficult thing to rethink. The holiday season is so loaded with obligation and guilt that most of us couldn’t separate it out if we tried. It just is. Once again, it was my children that spurred me to reconsider obligatory holiday gatherings and relationships. I relish our moments together and it became painful to be doing anything that was ‘going through the motions.’ I am a mentor for choice, power, and joyful living. I want to embody that for all of us. Shift. That said, the mindset of doing what was expected of us was virtually impossible for me to upgrade until we moved thousands of miles from family and friends and had the time and space to figure out what we would create on our own. That doesn’t mean distance is necessary, certainly. My experience is that, in the absence of time and energy to put toward a new version of tradition, we defaulted to expected familial tradition and interactions. We felt disempowered but it was our own doing. The space gave us breathing room- a new sense of power in our lives- choice in who we would engage and how we would spend our time, even the hallowed holidays. We also realized that they’re just days- an awakening. Why that particular day? This discussion touches so many other areas of life! And, guess what? I found that I really DO enjoy friend and family gatherings. I attend because I am excited and want to be an active participant in the lives of those people. I choose my partners in conversation and exchange energy and love. It was a matter of choosing how I spend my time, money, and heart energy. When I gave up thoughts of obligation and expectation and really focused on creating traditions and relationships that felt worthy, that’s when I got real clarity. 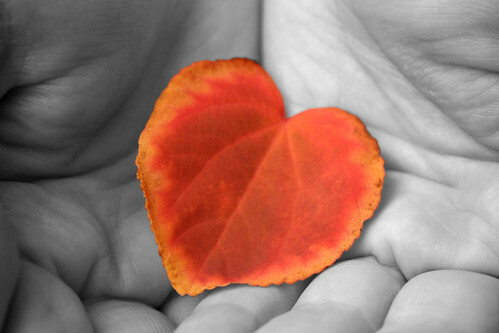 I exercised my ‘no’ muscle with a clear heart- no guilt. I stopped using money and gifts as expected annual trade items or some kind of token to encapsulate an entire year of ‘I love you.” I opened to the joys of the seasons to share with my family- homemade gifts, decorations, evening drives to look at holiday lights, cuddling under blankets and reading books about holiday magic. There has always been something extremely anti-climactic about the holiday season. So much preparation and expectation go into creating the perfect holidays. We attribute it to our children but I have found that my children don’t need or want that kind of burden. They are most fulfilled in presence, joy, and simplicity. We don’t wait all year to buy them presents so that needn’t be the focus. I would encourage anyone feeling burdened by the upcoming holiday season to use the comments section of this post to discuss. ‘Peace’ and ‘Joy’ needn’t be reserved for the holiday cards we send (if we even send them!). We all deserve to seek and experience joy and preserve our health (and budget!) this holiday season.